You are getting the best when you choose Exceptional Driveways and Landscaping as your paving contractor for your driveway. We offer the best prices combined with over 30 years of experience and outstanding workmanship on every block paved driveway we install in Northampton. 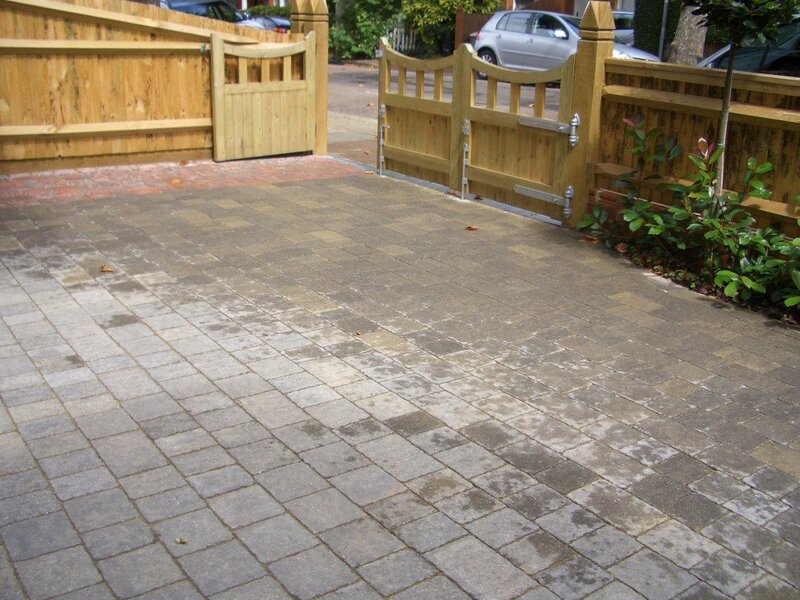 Affordable, quality block paving contractors. 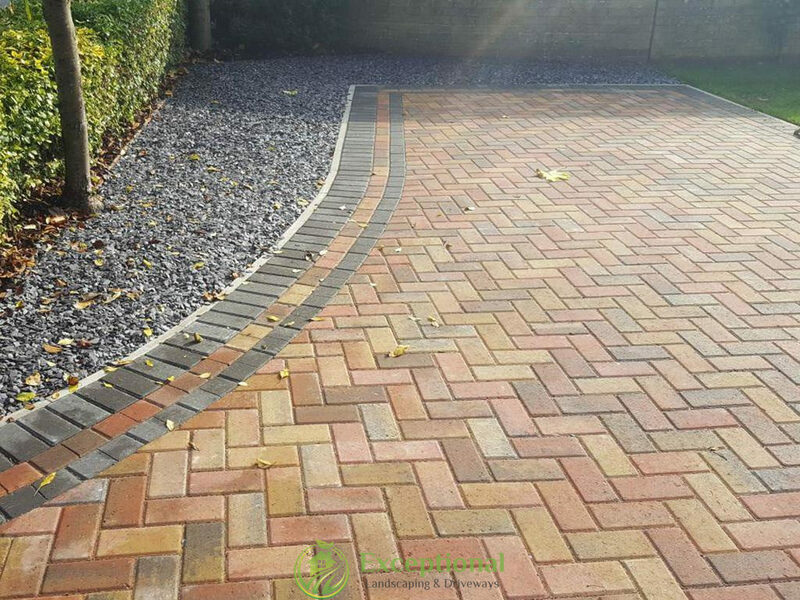 With a professional and qualified team ready to handle all types of driveway paving installations ranging from standard paving to permeable paving and cobblestones, you are getting the best when you get Exceptional Driveways and Landscaping. We always put our customers first ensuring that each and every client is 100% satisfied. Experts at installing all types of driveways. 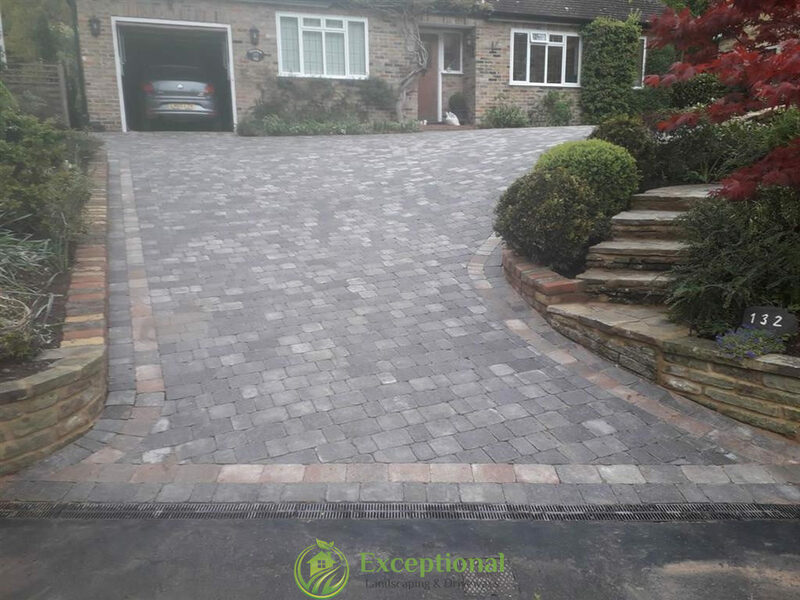 Driveway paving as a driveway option is not only beautiful to look at but is also one of the most durable and practical solutions for any driveway. It will look good all year round, provides great traction for vehicles and feet and will age beautifully if installed correctly. Getting your driveway installed by a proper paving contractor, makes a huge difference to your finished driveway. We will take care of everything for you including installing drainage if required and crossovers. 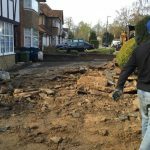 We stand by all of our work proudly, giving a full guarantee and warranty on any driveway installed by us. Block paving can be done in endless variations. Not only does paving come in many shapes, textures and styles, you can join block paving with nearly any other type of surface. 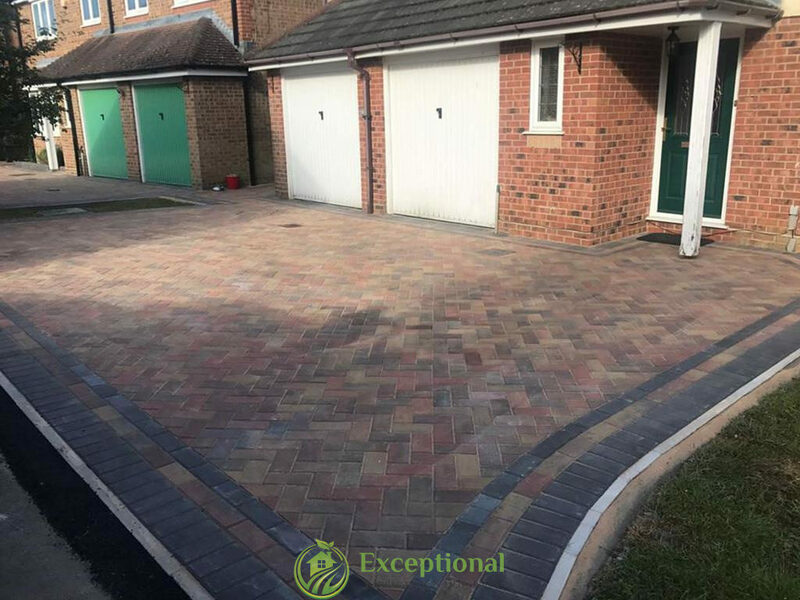 You can rest assured that whatever your driveway requirements are in Northampton, Exceptional Driveways and Landscaping are the company for you! 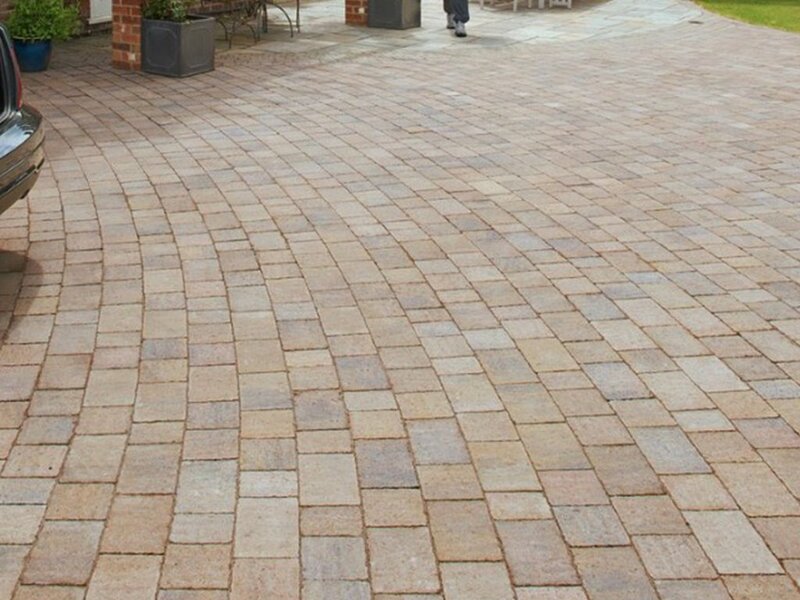 Over 30 years providing high quality driveway paving and patios. 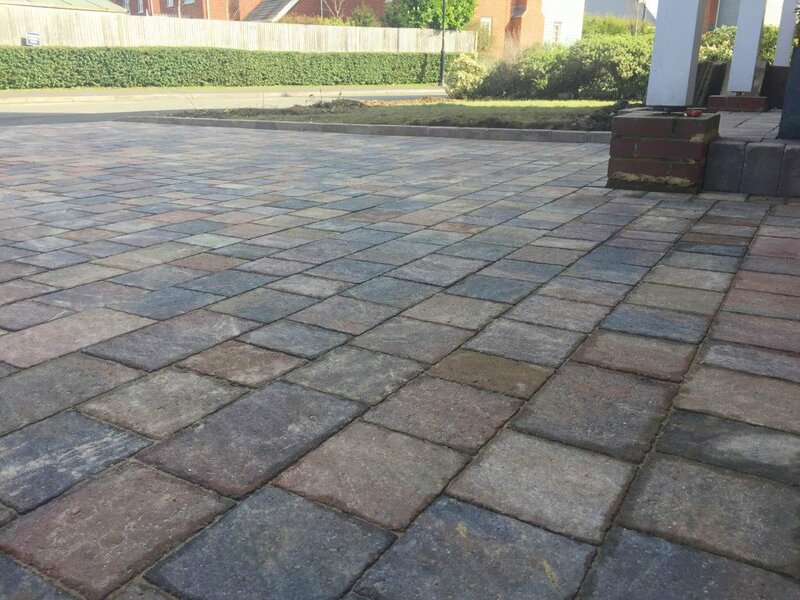 All our paving is laid on a firm, level and well drained base to ensure long term service and stability – getting the ground work right is essential. Vegetation and top soil is removed to an approximate depth of 200mm-250mm across the area to be paved. We mark out this area with pegs or retaining boards and adjust their height to the required finished surface levels, ensuring that we allow a fall of 1:80 away from any buildings and walls for surface drainage. 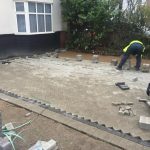 We also make sure that the finished paving surface level is at least 150mm (two brick courses) below the level of any damp proof course. After excavation, we rake level to ensure an even depth and compact the whole area using a plate compactor. Underground drainage, Aco drains or similar drainage including inspection chambers are installed at this stage if required. Onto this, a layer of river washed sand (grit sand is more free draining than normal sand and is less prone to being washed out) is applied, to the depth of 50mm, and then compacted with a plate compactor. A second layer of grit sand is then applied, to a depth of 20mm. This second layer of sand is leveled to the correct falls. We use the vibrating whacker plate on the paved area again, to push the sand into the joints. Once this has been done, we check for any gaps in the jointing and fill where necessary, compacting again afterwards if needed. The sand in the joints may need to be topped up for the first few months after the job is completed. 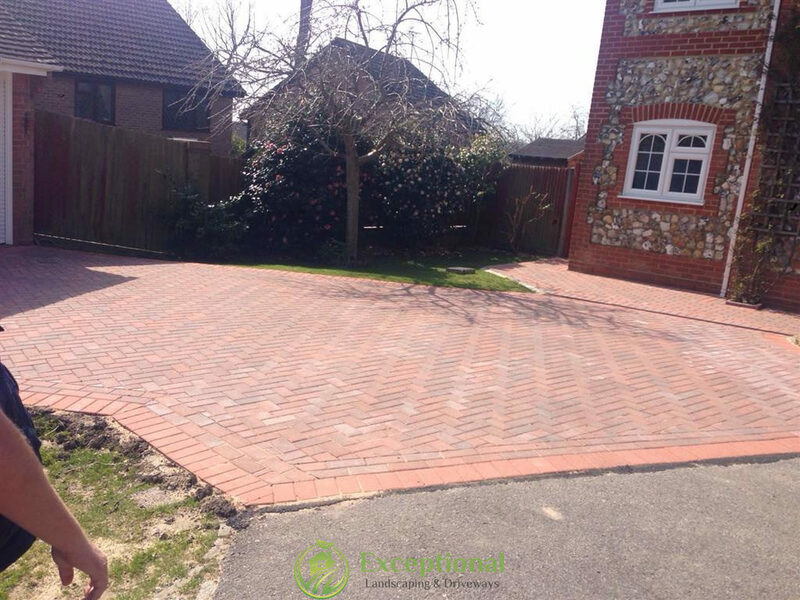 Call the experts at Exceptional Driveways and Landscaping for a free no obligation quotation. We look forward to hearing from you.